Nelida is a partner in the firm’s Commercial Litigation practice group. Nelida represents companies and individuals in a wide range of business disputes, including real estate, joint-venture, contract, and intra-company disputes involving partnerships and LLCs in connection with membership rights, withdrawals, dissolutions, and distributions. Nelida also litigates trusts and estates controversies and a wide variety of complex commercial disputes across a diverse range of industries and businesses. She handles all phases of complex litigation, from pleadings through dispositive motions, mediations, and appeals in state and federal courts. Nelida regularly advises companies on governance and regulatory matters. 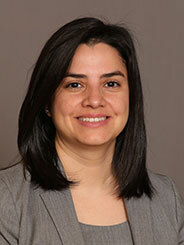 Prior to joining our firm, Nelida was an associate in the litigation group of Schulte Roth & Zabel. Co-author, Ten Recommendations to Help Hedge Fund Managers Conduct Successful Internal Investigations, 6 The Hedge Fund Law Report 9 (2013).